Wait-who, what? No it is not a Chronometré grey. Ming started last year as a passion project from one watch photographer. The obsessive detail that shined through Ming Thein’s watch photography has manifest itself here as well. Ming is a very different new brand, demonstrating wisdom beyond their years. 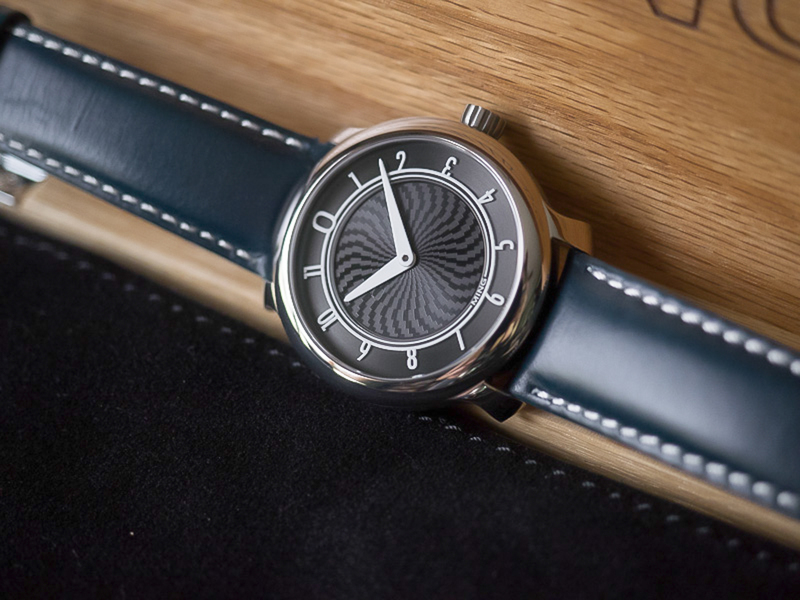 A simple, relatively small 38mm, titanium case houses one of the more simple and beautiful dials around this price. There’s a swirled guilloché pattern, deliberate lack of date window, and modern font attached to a ring inside its indices. The dial is very clean. The case is nitrogen filled to eliminate inconsistencies in temperature and prevent wear. A 19-jewel Sellita caliber SW210-1 powers the simple time-only piece. The overall impression is slim, gracelful, and very considered. It is very rare for an upstart to make a fan out of me in aesthetic. Well done, ming. The 17.01 was not highly produced, at 150 per each dial variation. I doubt it will appreciate in the next few years, but depending on Ming’s direction for the small brand, there may be some potential in the far future. If you’re looking to support smaller enthusiasts, you could do much worse. Find this 17.01 here on Watchuseek for 1495 USD.